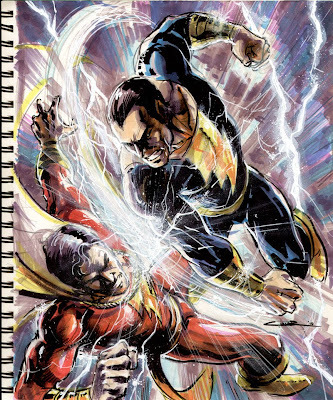 You guys are following the blog of upcoming Legion of Super-Heroes artist Yildiray Cinar aren't you? The guys work is beyond Thunderdome in all the right ways, and with weekly sketches like the one below, it contains some serious drool material. No doubt about it - this guy is going to be huge! Check Yildiray's blog here, or see his work on Making a Mark here.